Anxiety is thought of as a psychological disorder, but it actually involves many systems of the body. 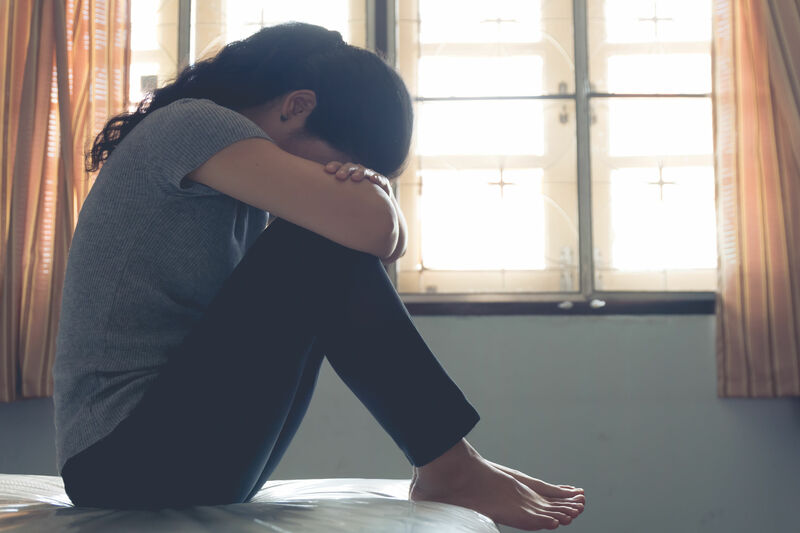 Anxiety is a true “somatic” condition: It is typically brought on and made worse not by any external source like a virus, but by our internal psychological and physiological functioning. For many people, chronic muscle tension plays a large role in anxiety. 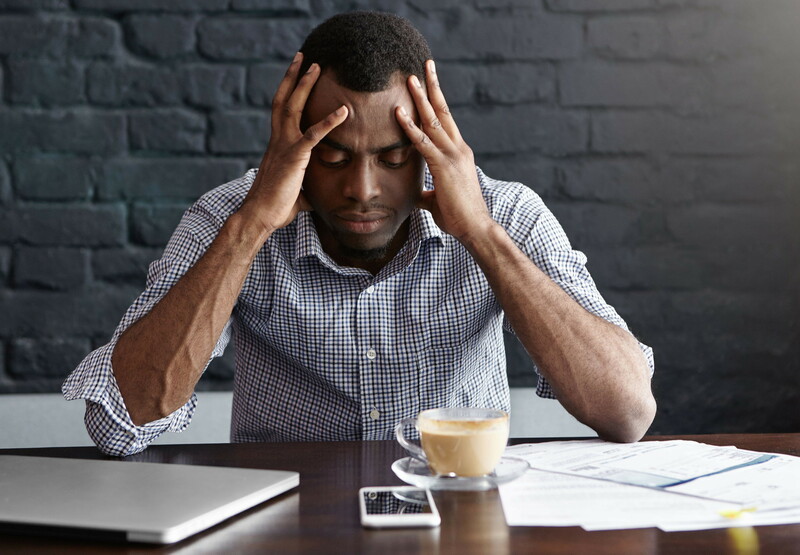 It may not surprise you that psychological stress causes muscle tension, but it goes the other way as well: muscle tension causes psychological stress. This is good news—it means that by reducing your muscle tension, you can relieve your anxiety. For many people, reducing chronic muscle tension is a critical part in recovery from anxiety and related conditions. Modern Homo sapiens have been evolving for at least 300,000 years. For most of this time we lived a nomadic, hunter-gatherer lifestyle, moving with the seasons and following our sources of food. Daily life was focused on physical survival: finding food, preventing and healing from injuries, and defending against attack. We evolved to expertly deal with these acute stressors, automatically speeding up certain body systems to help fight the stressor, and automatically returning to normal functioning when the source of stress was gone. When we perceive a threat to our survival, our sympathetic nervous system responds with the “fight-or-flight” response, temporarily creating a super-powered human capable of lifting heavy objects and sprinting faster than we ever have before to outrun an attacker. The stress response speeds up our blood flow, breathing, and production of energy for muscles. Our blood thickens, beginning the clotting process so that we don’t bleed to death if injured. Our muscles tense as they ready for action, and postural reflexes prepare us to either stand up and defend ourselves or curl up into a ball. Our body releases endorphins so that pain or injury won’t slow us down. Functions of our body that are not essential for fighting or fleeing, like digestion, immune response, and sexual arousal are inhibited to allow our body to devote itself fully to surviving the stressful event. Then just as quickly, as soon as we believe that the source of stress is gone, our parasympathetic nervous system automatically cues the functions of our body to return to normal. Heart rate and breathing slow down, muscles relax, and the digestive, immune, and reproductive systems resume their work. Evolution prepared us extremely well for chasing down our dinner and defending against attack. But over the past 10,000 years or so, since our development of agriculture provided us with a reliable source of food and allowed us to settle down in one place, our sources of stress have changed. Once our basic needs are met, our sources of stress shift from the physical—those that directly affect our survival—to the psychological. Unfortunately, emotional, social, and financial problems trigger our stress response in the same way that physical stressors do. It all comes down to perception; if we perceive something to be a threat, our stress response is activated. But unlike acute physical stress, from which we are quite adept at recovering, psychological stress stays in our minds and constantly activates our stress response. Our blood pressure remains elevated and our blood stays thick, increasing our chances of clots, strokes, and heart attacks. We habitually take shallow breaths, inflating our chest instead of our lower belly, and we find ourselves short of breath. Our muscles stay tight all the time, ready for action. These chronically contracted muscles use a great deal of energy, causing us to feel fatigued. Stress hormones keep the immune system suppressed and blood sugar levels high, leading to brain-cell death. In the end, our response to psychological stress usually causes more damage than any of the sources of stress could have caused in the first place. 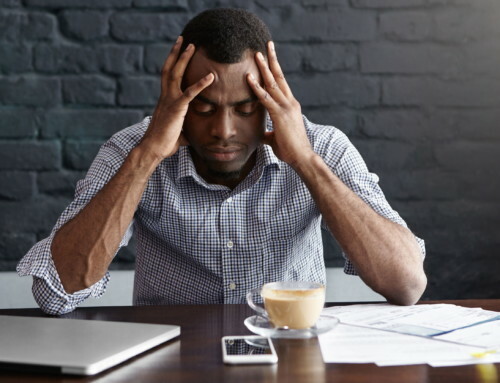 Repeated activation of our stress response can lead to generalized anxiety disorder, a mood disorder characterized by excessive worry, nervous behavior, irritability, restlessness, fatigue, difficulty concentrating, muscle tension, and insomnia. People who suffer from chronic anxiety are in a state of heightened stress that never goes away. They are always on edge, worrying about things that will most likely never happen. Both anxiety and chronic muscle tension are conditions of the nervous system in which our reactions have become habituated to the level that they are not under our conscious, voluntary control—that’s why they feel so uncontrollable and unchangeable. Unbalanced levels of hormones and neurotransmitters make anxiety all the more challenging to overcome. Conscious intervention, retraining of the nervous system, and commitment to healthy lifestyle habits are all necessary to truly eliminate both anxiety and muscle tension. We’ve already learned that anxiety causes our natural stress response to be constantly activated, and that our muscles contract as part of our stress response. When we experience anxiety, our neuromuscular system never gets a chance to recover or return to normal. Our heart rate remains elevated and our muscles retain a higher than normal level of tension. When our muscles are constantly contracted, our cells are forced to create energy for our muscles through the process of anaerobic metabolism. In this process, glucose is synthesized into adenosine triphosphate (ATP) without the help of oxygen, and lactic acid is produced as waste. Lactic acid is often blamed for muscle soreness, but actually, our body quickly breaks down lactic acid into lactate and hydrogen ions. 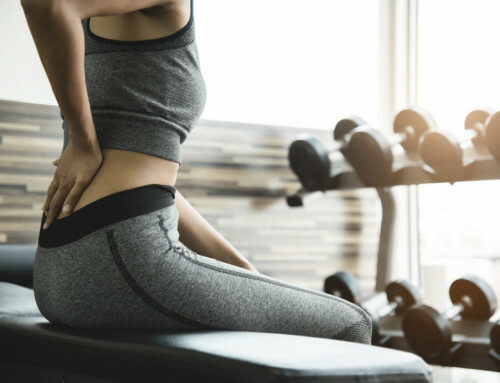 A buildup of hydrogen ions, which activate our pain receptors, is likely the cause of the dull ache and burning sensation we feel in our muscles during strenuous exercise. And a buildup of lactate is linked to anxiety. Not surprisingly, studies show that people with anxiety have higher resting levels of muscle tension, react to stress with stronger muscle contractions, and return to their baseline level of tension more slowly than control subjects. As a result of their increased muscle tension, levels of lactate in the blood are higher in anxiety patients. But what is quite interesting is that this physiological loop goes both ways. We can actually make ourselves anxious, and even induce panic attacks, by injecting lactate into our bloodstream. So not only does anxiety increase muscle tension, but chronic muscular contraction and increased lactate levels can cause anxiety, creating a vicious cycle. Perfectly healthy people experience increased muscle tension when they feel stress. One study found that simply having to complete word and math problems in a research lab increased the muscle tension of test subjects. In another experiment, subjects were given a picture and asked to tell a story about it. While they told their stories, their muscle tension increased because they experienced a little bit of anxiety, just as most of us would when performing in front of other people. When they finished, half of the subjects were praised for doing a good job on the task. Their muscle tension dropped back to normal levels. The other half of the subjects were criticized for their poor performance, and their muscle tension remained higher than normal—until they were reassured by a different researcher that they had actually done a good job. Mental activity alone, not just psychological stress, is enough to increase muscle tension. Edmund Jacobson, a physician and psychologist, conducted a number of studies in the 1920s and 1930s using an electromyograph (EMG) to observe the correlation between thought and muscle tension. He developed a technique called “progressive relaxation” to guide his subjects through a process of contracting and releasing their muscles one by one. As the subjects’ muscular tension decreased, their mental activity decreased as well. Once relaxed, it was quite easy to see the elevations in muscle tension that occurred when the subjects were instructed to think about specific things. Jacobson’s research proved that mental activity always occurred along with an increase in muscular tension, and that reducing muscle tension had the immediate effect of decreasing mental activity and the overall activity of the central nervous system. Our level of psychological stress and the way that we process it exists on a spectrum. A moderate amount of worry triggers our stress response to a lesser degree than a diagnosable anxiety condition would. 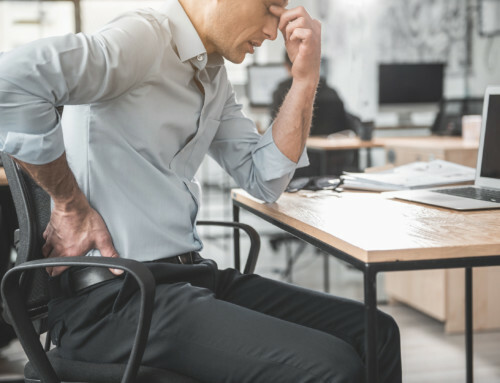 Unfortunately, it’s surprisingly easy to get used to an increased level of muscle tension and heart rate and to be completely unaware that your baseline level of stress is elevated. In somatic conditions like anxiety, our physiological functioning plays just as big of a role as our psychological functioning. A successful treatment approach must address chronic muscle tension, diet, exercise, sources of psychological stress, and our habitual thought patterns and reactions to stress. 1. Release your muscle tension with Clinical Somatics. While many people start practicing Clinical Somatics exercises to relieve muscle and joint pain, the exercises also have the immediate effect of calming the nervous system. With regular practice of the slow, gentle exercises, anxiety can be eliminated completely. An advantage of treating your anxiety by practicing these exercises is that it gives you an active way to approach your condition—you’re doing something, rather than thinking about things or trying to force yourself to relax. You’ll also get a break from thinking about your worries because the extreme slowness of Clinical Somatics exercises demands complete focus; it’s literally impossible to think about anything else. 3. Participate in talk therapy. There’s no substitute for talking out loud about what’s bothering you. Fear often keeps anxiety sufferers from seeking help from others. If you’re scared to talk to someone, know that literally hundreds of millions of people out there are suffering just like you are, and they’re all scared too. Conquering the fear will help you get past your condition and move forward. It’s much easier to solve your problems when you’re able to talk about them with an expert. If you’re not comfortable talking to someone in person or going to a support group, there are other options like text, phone, and video chat therapy services. For anxiety sufferers, regaining a sense of control over their lives is a huge part of recovery. If you have anxiety, take a few minutes to write down all your sources of stress. Consider each item, and figure out how to take control of it. This may mean making changes to your work schedule or job expectations, addressing issues in a relationship, or dealing with difficult financial problems. 1. There’s a solution to every problem. 2. Your anxiety will get worse if you don’t take action. 3. You are the only one who can make these changes. No one else can do it for you. If you can’t figure out how to take control of your sources of stress, ask someone else to look at the list and give you an objective opinion. It can be difficult to see your problems objectively when you’ve been stuck in them for so long. While you can’t control everything in life, it’s important to regain a sense of control over the things you actually can change—like your behavior, choices, job, relationships, and financial situation. 5. Start noticing your habitual thought patterns and reactions to stress. In addition to taking control over the sources of stress in your life, you’ll also need to think about how you might be creating stress for yourself. For many of us, the underlying cause of our stress is habitual thought patterns. Do you perceive situations to be stressful when in reality they aren’t that big of a deal? Do you spend a great deal of time worrying and creating unnecessary stress in your mind? Our thoughts are simply electrochemical reactions, consisting of messages sent between neurons. Repeat the same thought over and over, and the neural pathways involved in that thought get stronger. Our thoughts can trigger the release of neuropeptides that travel through our body, creating physiological responses, changing the structure of cells, and even altering our DNA, leading to accelerated aging and increased rates of cancer and heart disease. We are the only beings on the planet who have the ability to change our thought patterns and to choose how we interpret situations. If we perceive a situation to be stressful, our stress response is triggered. We also influence how we’ll react in the future by worrying about potentially stressful situations ahead of time. If you find yourself worrying and stressing before anything bad happens, you must learn to break that pattern or you’ll continue to suffer the ill effects of unnecessary stress. You may not feel like you can choose how you react because your responses and thought patterns have become habitual. But remember that your nervous system is plastic—you can retrain your thought patterns, and you can change how you react to potentially stressful situations. Do you take shallow breaths? Do your thoughts become fixated on the stressful situation? Does stress affect the way you react to nonstressful things? Do you take the stress out on your family, friends, or coworkers? Once you’ve begun to notice your habitual reactions to stress, you can begin to change them. When you feel stress, take a deep breath into your lower belly, hold it for a few seconds, and exhale as slowly as you can. Breathing slowly and deeply like this (known as diaphragmatic breathing) stops your body’s stress response and triggers your parasympathetic nervous system. Next, analyze your situation and look at it objectively. Can you find a way to remain relaxed and deal with the situation? It takes time and conscious effort to retrain your habitual thought patterns and reactions, but it’s worth it. Try it today: Notice one potentially stressful situation that you encounter, take a deep breath, and try to relax and turn it into a neutral or even a positive experience. Practice this every day and soon you’ll find that your new pattern of reacting to events has become habitual, and you’ll feel much less stress overall in your life. If you want to relieve your anxiety with Clinical Somatics exercises, the best place to start is with the Level One Course.